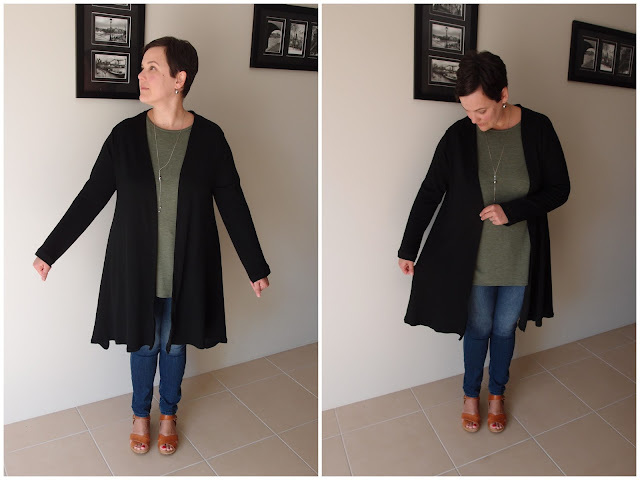 My wearable muslin of Tessuti's Megan Longline Cardigan has turned out to be one of my most worn me-mades. The fit is great, it's comfortable, the fabric, whilst super cheap, is a great colour and washes and wears so well. 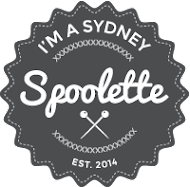 Needless to say I was super keen to make another one. In black. I'm on a bit of budget at the moment so I was super frugal when shopping for fabric. I found this black merino wool/polypropylene fabric at The Fabric Store in Surry Hills for just $8/pm. Bargain. I think it's meant be for "active wear"...but, whatever! You can see from the photo below that one side is more "merino" looking and one looks like...recycled plastic bags. 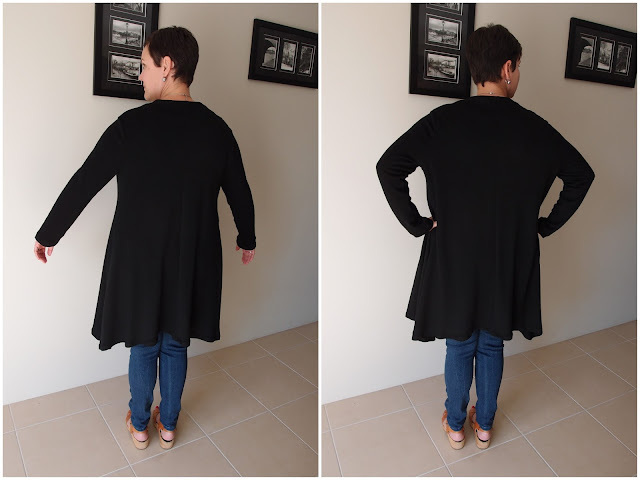 I sewed the cardi with the merino looking side facing out...as it has a nicer look than the other side. 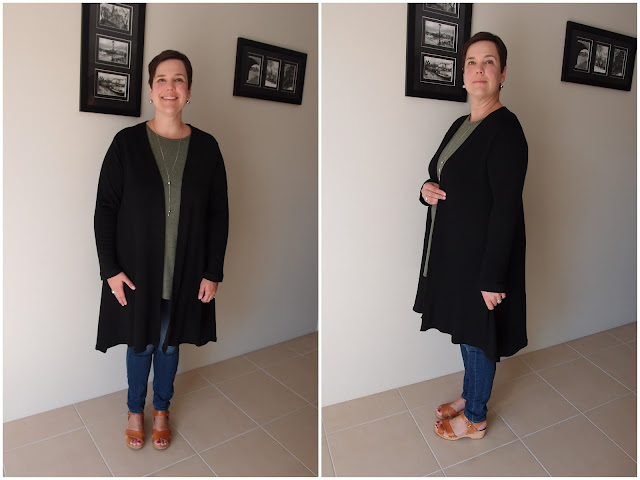 The fabric isn't as nice draping as my first version of this cardigan and it wasn't as easy to press (ie hot iron = melt your fabric). I was also sewing in a bit of a rush as I wanted to finish this all in one go so I could take my overlocker into to be serviced that same day. So I have a black cardigan, just not a lovely black cardigan. I'm not sure there's much else to say about this make. It's an easy sew and takes a few hours. I didn't slim the sleeves down as I thought I might in my last post. Not sure why, but it means it fits comfortably over longer sleeve tops and dresses. Fabric: Merino wool/polypropylene blend from The Fabric Store in Surry Hills.